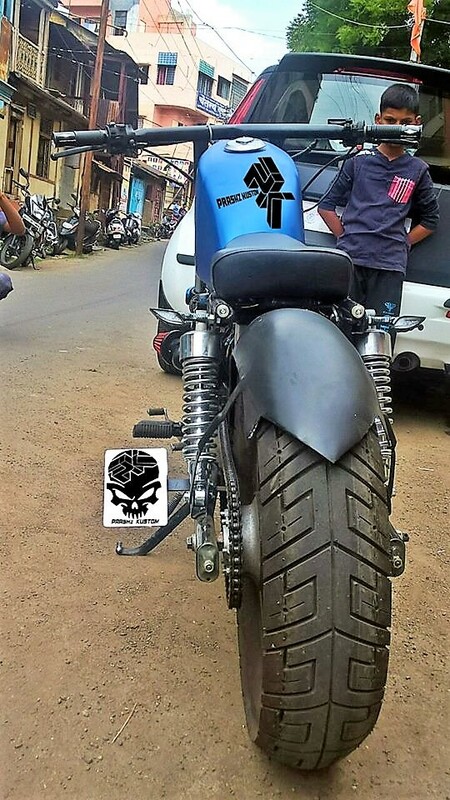 Modified Hero Super Splendor by Prashz Kustom Design: If you believe in the fact that only expensive motorcycles can fetch you the required attention, Prashz Kustom Designs are here to change the mindset with their second custom product. 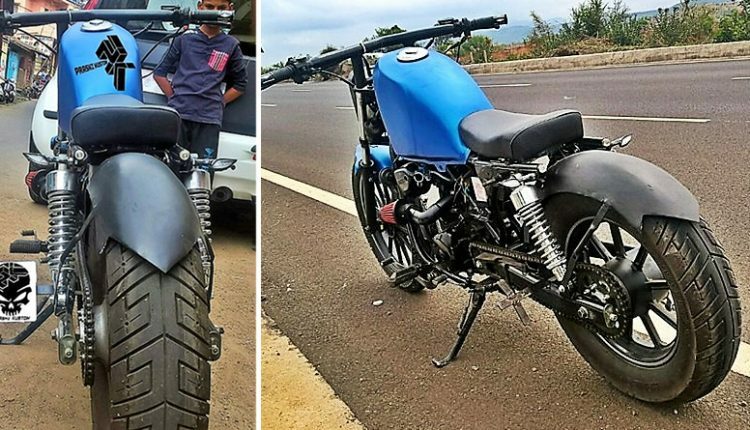 As most viewers won’t believe this at the end, this modified bike started its life as a stock Hero Super Splendor and went up to become this fascinating cruiser inspired street fighter. This time, they have even finished the body panels in Blue for the premium feel. 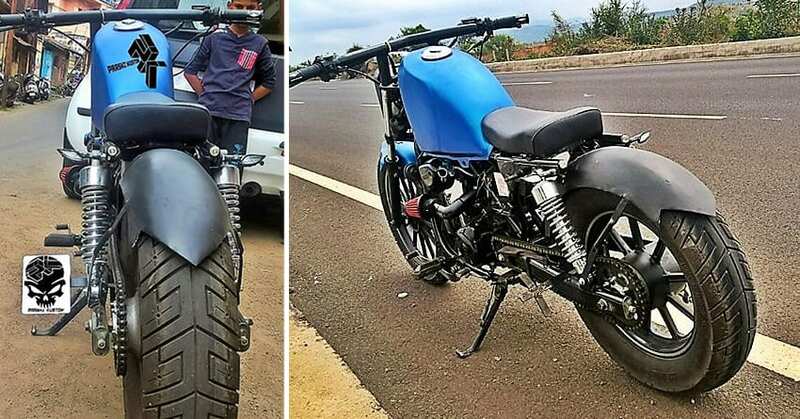 The motorcycle uses a custom frame that has been chopped from the rear and replaced with a wider fender with sharp ends. The stock wheels are replaced with 90 mm wheel at the front and 140 mm at the rear. The front wheel now houses a 260 mm disc brake for enhanced braking power. The motorcycle uses an performance air filter and free flow custom exhaust for improved overall performance. 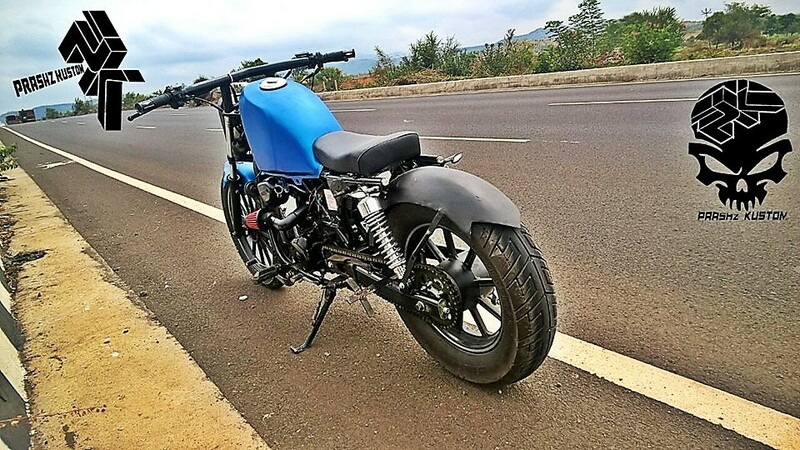 The handlebar on the motorcycle is wider than the stock unit while the builders even brought sharp and design friendly rear view mirrors for added convenience. The Black alloy wheels are even different from the stock units on the Hero Super Splendor. 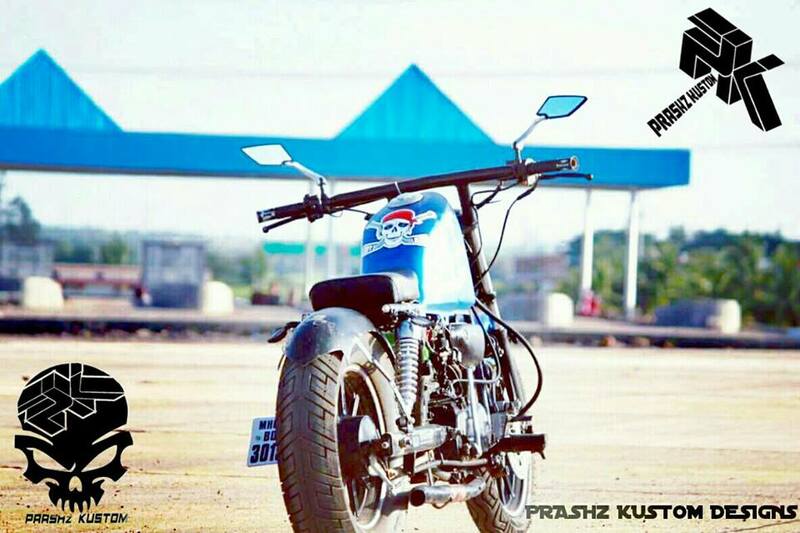 Prashz Kustom Design has used a 15 liter, Harley Davidson style fuel tank in place of the commuter friendly unit. The single seat is cruiser inspired while the riding stance is more into the street bike department. 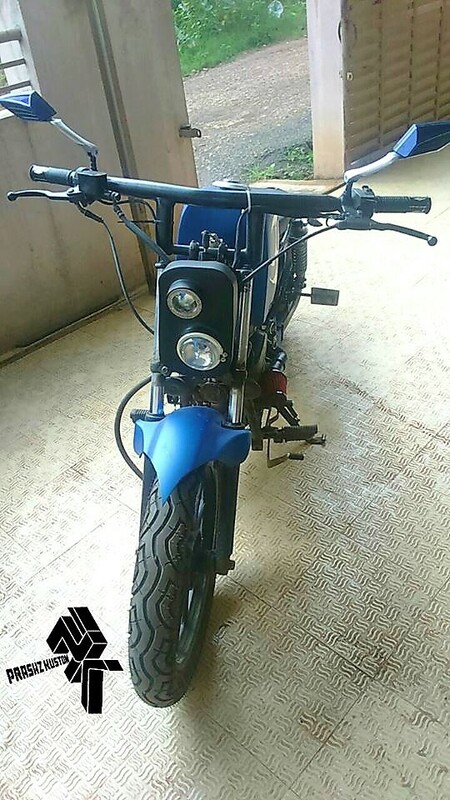 The front headlight used here is two piece and mounted successfully on flat piece of metal, providing the same with a flat tracker look. The front fender is even finished in the same sharp look as the rear fender. They have kept the rear suspension as standard twin shocks while the suspension seems sourced from Royal Enfield Bullet. The swing-arm has been duly modified to fit the thick 140 mm tyre at the rear end.